Point2 Homes gives you far more than a simple list of houses for sale. 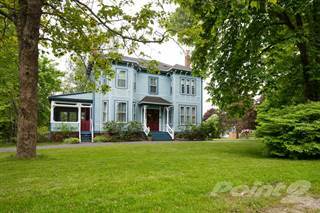 Get instant access to a lot of relevant information about Annapolis Royal, NS real estate, including property descriptions, virtual tours, maps and photos. The search results pages also have a wealth of information on Annapolis Royal, NS, if you scroll all the way down. 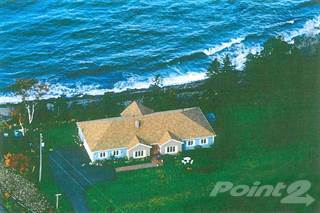 There are 15 houses for sale in Annapolis Royal, NS. 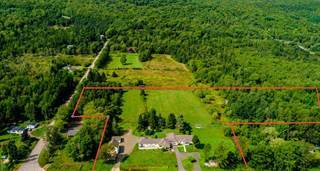 Searching homes for sale in Annapolis Royal, NS has never been more convenient. 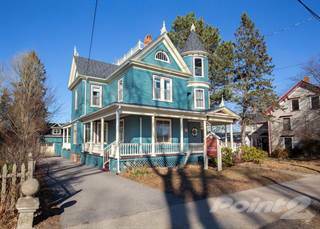 With Point2 Homes, you can easily browse through Annapolis Royal, NS single family homes for sale, townhomes, condos and commercial properties, and quickly get a general perspective of the real estate prices. Also, you’ll never miss a bargain if you filter listings based on house price drops in the past six months. 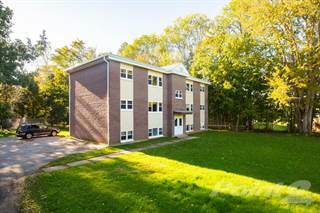 Use the map view to find Annapolis Royal, NS homes and apartments for sale, based on amenities or city features that you may want close by. You can close in on a specific neighbourhood or area by simply drawing around them with the polygon or radius tools. Stay informed about the latest entries on the real estate market by saving your searches. This way, you get new listings in your inbox, daily or every week, based on your preferences. If you’d like to get in touch with a professional, agents are displayed next to their listings, and they’re easy to contact through the online forms. If you want more options, you can click the Tools tab and Find an Agent, and you’ll get a list of helpful and knowledgeable real estate agents in Annapolis Royal, NS. Visit the Point2 Homes blog and you can find up to date expert advice on many markets throughout Canada, regular market reports, neighbourhood scoops in cities throughout the provinces, real estate deals and useful recommendations. Annapolis Royal is a town located in western Nova Scotia that was officially incorporated as a town in 1892. It currently has anextremely small population of around 500 people and occupies a total land area of just 2 square kilometers. An interesting factoid about Annapolis Royal is that it has faced more military attacks – 13 in total - than any other town or city in Canada and the USA. It continues to attract visitors from all over the world as one of the oldest settlements in Canada. Due to its very small size, tourism is the industry that most significantly contributes to the economic stability of Annapolis Royal. There are currently no post-secondary institutions in Annapolis Royal, so it is necessary for people interested in that type of educational to move out of the town. Due to its very small size, tourism is the industry that most significantly contributes to the economic stability of Annapolis Royal. It manages to attract nearly 100,000 visitors on an annual basis and there is no sign of this number falling anytime soon. This necessarily increases the demand for people that can facilitate and handle the volume of tourists. However, it is worth mentioning that wholesale and manufacturing also play a role in providing the labour force with employment. At the same time, Annapolis Royal serves as a prime location for people interested in starting a business. In particular, those who are operating web-based businesses will love the fact that the town provides high-speed Internet while offering an opportunity to escape the chaos and noise of the city lifestyle. Additionally, much of the commercial space that is available happens to be directly connected to the daily flow of traffic. Finally, the town has a “Board of Trade” that has regular meetings to figure out ways in which they can become more hospitable to current and future businesses. Annapolis Royal has been ranked as one of the most vibrant communities in all of North America by “This Old House” magazine in 2012, and has been regarded as one of the most livable small communities in the world. Its small size does not limit it from having the same things that other towns do – public libraries, museums, health centers, restaurants, and much more! Overall, it is an extremely quiet town where everybody knows each other and gets along splendidly. Everyone has to work together in order for the town to thrive, which builds an element of togetherness and trust amongst the inhabitants. Furthermore, the fact that the city only covers 2 square kilometers allows for everything to be easily accessible. Annapolis Royal is generally regarded as a single area, with houses spread wide apart. There is a slight aggregation of housing near the Historic Gardens, with the majority of the tourism attractions situated next to the Fort Anne historic site. On George Street, you will find most of the bed and breakfast facilities that are set up to host visitors. With respect to real estate, you will likely not find any condominiums or rental apartment in Annapolis Royal. Most of the homes in this town are traditionally-designed fully-detached residential homes with a 20th century look to them and are spaced far apart. These homes are built with multiple bedrooms and bathrooms to accommodate the families that live here. 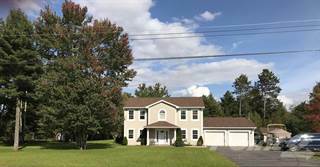 The price tags for these homes tend to range from low to mid six–figure sums, providingresidents with multiple options that take all budget sizes into account. There are currently no post-secondary institutions in Annapolis Royal, so it is necessary for people interested in that type of educational to move out of the town. As for local schools, there is one secondary school (Annapolis West Education Center, 7-12) and one elementary school(Annapolis East Elementary School, K-6). Both schools provide opportunities for their students to succeed in academia and in athletics. They also have frequently updated websites to keep parents and members of the community informed of any new developments. If you’re interested inalternative ways in which power can be generated, Annapolis Royal is the place to be. It is currently home to the only modern tidal electrical generating plant in North America. Initially set up as a pilot project to find different ways of generating electricity, it is now a tourist hotspot for those who have a fond interest in scientific history. Fort Anne, a former fort built to protect the city, was renovated as a National Historic Site and made available to the public in 1920. It is a tourist location that comes highly recommended and the tour guides do a great job in explaining how effective it was as a line of defense against military attacks. When you aren’t visiting one of the many historic sites, there are a number of shopping markets that provide a unique selection of clothes, trinkets, and more. There are also many smaller restaurants that are available throughout the day and offer an eclectic mix of dishes. You can choose something traditional or indulge in cuisine that is exclusive to the local culture.